ClassPass has connected fitness enthusiasts with under-subscribed fitness studios since 2014. It’s now changing its business model to reflect changes in the industry. Over the past 10 years, there has been a rising popularity in boutique fitness studios as people move away from big box gyms into specialized group classes. The top challenge for these studios is customer acquisition as they incur high fixed costs such as rent and equipment. Similar to filling the seats on an airplane, a fitness studios profits are completely driven by scale, and every empty space in a class is lost revenue with minimal incremental cost to serve an additional customer. Beyond a few prime-time classes each day, most studios operate under capacity and look for ways to fill these additional spots. Founded in 2014, ClassPass provided a solution to these studios by creating a platform subscription business that connects consumers with a broad range of studios. 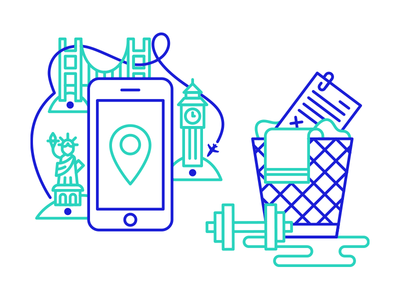 Classpass offers customers variety and an option to try all of the hottest fitness studios in their neighborhood without having to commit and pay high fees at each location. 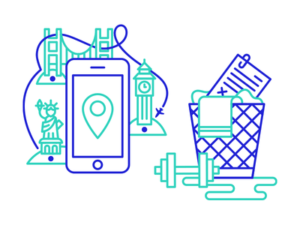 ClassPass claims value by charging customers a fixed cost per month depending on the city they are in. In Boston, for example, 3 classes cost the user $40/ month, 5 classes cost $65/month, and 10 classes cost $120/ month. The company negotiates rates with studios individually, but they typically pay 50% of the cost of a class in a 10 pack for that studio. For example, if a studio sells a class 10 pack for $150 to clients, ClassPass will pay the studio $7.50 per class taken by a ClassPass user. The customer wins by getting a discount on the studio classes, the studio wins by filling additional space, and ClassPass benefits from the margin on class packs purchased as well as profiting from unused classes. Today, ClassPass has expanded to 50 mid to large sized cities around the world and has 8,500 partner studios and 45 million reservations made to date. ClassPass has raised $173 million with a valuation of $470 million. They have instituted two recent changes to their business model that change the dynamics of their platform business: a credit booking model and ClassPass Live. In February 2018, ClassPass introduced a credit booking system to differentiate the cost of booking an expensive high-demand Flywheel class versus the cost of a local spin studio class at off-peak hours. 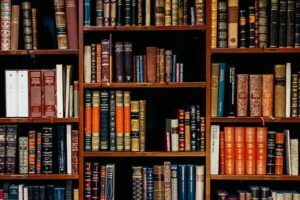 On the customer side, this platform change helps segment users who are looking to get more value for their money versus users who want access to the best classes. Additionally, it doesn’t limit how many classes a user can use each month at a studio (previously capped at 3 per month maximum). 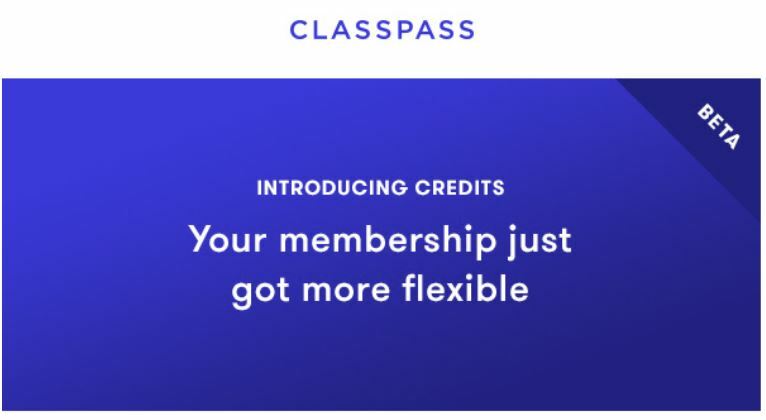 On the supply side, this enables ClassPass to introduce dynamic pricing, like Uber does with its ride sharing program, driven by an algorithm of consumer browsing and booking preferences, to drive traffic to off-peak classes and capture more value for high-demand classes. This in turn, allows fitness partners to offer premium, high-demand inventory on the platform. In 2018, ClassPass began beta testing a new service called ClassPass Live which allowed users to stream live digital classes into their home. Each user receives a heart monitor to use during class and their results are displayed to the instructor and the community of other live users. 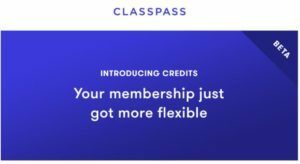 Existing ClassPass users pay an additional $10/ month for this service and non- ClassPass users pay $15/ month. The introduction of this program is a sign that ClassPass is staying on top of fitness trends, with the rise of Peloton bikes and other at-home digital work out communities gaining popularity. However, it is still unknown how this will affect ClassPass’s original digital platform business. 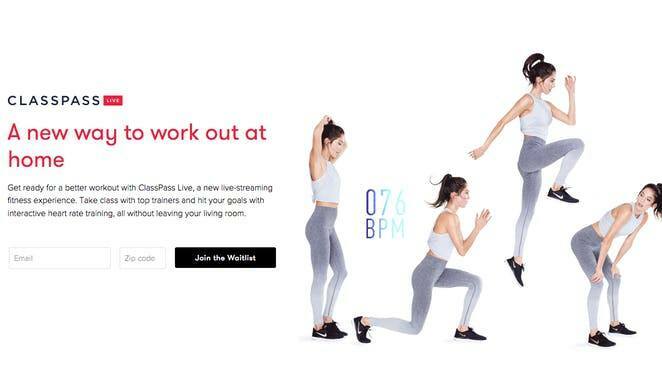 Will this be seen as competitive to studios who are looking to fill spaces in their classes or will studios begin to create their own live digital classes that will detract from the popularity of ClassPass Live? Only time will tell what the future of digital fitness platforms has for ClassPass and other competitors in the space. Next Submission	Tokopedia: Stay ahead! Thanks for sharing the post. The value proposition for both customers and studios is quite compelling. Yet, ClassPass has struggled over the last few years and has been forced to radically change its business model several times. I question whether the company will ever be able to establish a long-term, sustainable profit model especially given constantly evolving consumer preferences. The most pressing industry change that ClassPass must quickly address is the shift to on-demand fitness classes, such as those offered by Peloton, Aaptiv, and Equinox. The company’s release of ClassPass live is the right move, but it is still to be seen whether such a product can be competitive in an increasingly crowded market. I envision a future product that offers something akin the Netflix of fitness; Aaptiv seems to well positioned to offer such a product. Great overview of ClassPass’s business model, Kat! As a former ClassPass customer, I’ve been really intrigued by these two new updates to their business model. I think the credit approach is quite smart, as it allows users to choose where and how they want to spend their membership as you laid out. However, I’m much less optimistic about the on-demand model with ClassPass Live. I think with the growing competition as MP points out above, quality of these on-demand “do-it-yourself” workouts is going to be essential. Is ClassPass really best suited to be creating this content? Wouldn’t they be better off borrowing content from other players who are more experienced in this? Thanks for the post, Kat! I find ClassPass’s business model very compelling to users that want to try different things in an industry with an increasing number of alternatives, at an affordable cost. What interests me if the value that they provide fitness studios. Even though I agree that economies of scale play a big role and that access to customers is of outmost importance, I fail to see sustainable value in what ClassPass offers the studios. As a fitness studio I would be concerned about their bargaining power and the actual conversion from ClassPass customers to full-paying members of the studio. As customers are presented with many alternatives in some cities, there might be an incentive towards not committing to one studio in particular. It would be interesting to see if the economics of small studio’s still holds with a majority of ClassPass customers. I love the idea above someone mentioned the netflix of fitness. Create a marketplace where my favorite fitness people (maybe someone i follow on instagram or maybe a celebrity or an athlete) can offer online Live classes and I can pay to access them. Beautiful. Clear value proposition, attractive industry, dynamic pricing allows for all segments to be serviced…etc. The only issue I think is that current fitness clubs with tons of members can easily offer that as a free additive service to their already expensive membership fees (i.e. barry’s or equinox). But for celebrities and athletes, if you can attract them and solve the chicken-egg problem, sign me up to do push-ups with Tom Brady! Great post Kat. 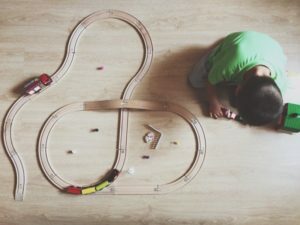 Part of the difficulty with Class Pass’ model is that they drive so much demand that they effectively change the business models of their partners. As a couple commenters have mentioned, Class Pass has had to change their business model so many times because they command so much power in the fitness studio space that they can crowd out demand for full-priced memberships or classes. I’m hopeful that this most recent shift will finally get the customers of the platform aligned with the needs of the business. Great post! I am very interested in the competitive dynamics of this business. First, I think there is a high indirect network effect between users and fitness studios, meanwhile, I assume the tendency of multi-homing is also high? Fitness studios have the incentives to offer classes on other similar platforms to acquire customers and monetize unused class capacity. Competitors like FitReserve, differentiates itself by offering full class schedule, unlike ClassPass’ more restrictive choices, while some others differentiate by focusing on particular work out (like yoga). Second, business partners like Mindbody could be potentially strong competitors. Classpass relies heavily on Mindbody’s infrastructure, I am wondering how would Classpass respond if Mindbody sees the market opportunity and decides to take control of the demand side by themselves? Third, another big challenge is that some fitness studios may move off the platform to get more margin when they can build a direct trust relationship with large numbers of customers. That being said, I think the dynamic pricing you introduced is a smart move for Classpass to help retain some high-demand fitness studios. Thanks for sharing this post! You may want to take a look at my post about Peloton strategy? It is interesting to consider how fitness trends are shifting more and more into the houses of consumers, and all the players are trying to get a foothold in customers’ houses. Will this be a winner take all market? Can online fitness platform – that need to achieve large scale in order to be successful and sustain the high investments in content and technology – still leverage network effects once their customer base grow? Can they recreate the curated “hipster” experience that made boutique studios so successful in the first place? It will be interesting to see how competitive forces but even more network forces will play out in this “digital fitness” game to allow eventually one player to dominate the in-house fitness market. Great post! Although personally I’m a huge fun of class pass I worry that they recent pricing changes (moving into the credit system based on demand) will turn customers away from the platform. Historically, customers will sign up with the hope of getting a cheaper Barry’s or Flywheel as you mentioned and then use the other classes on less known studios. With the new pricing, the “star” studios became more expensive than booking outside of class pass, making many customers angry and freezing their accounts. I therefore wonder if class pass can build a strong platform on its own (perhaps the introduction of on demand classes will do just that) without relying on some of the key fitness chains, to attract and retain customers. Thanks for the post. It’s been interesting seeing how the company has grown over time, in particular how it has pivoted its business model to better meet customers needs. I’m curious if some of these recent changes will compete with their core business in a way that might impact their core customer community or detract from their core model. The ClassPass Live example in particular seems like it would potentially be pretty disruptive to their business.